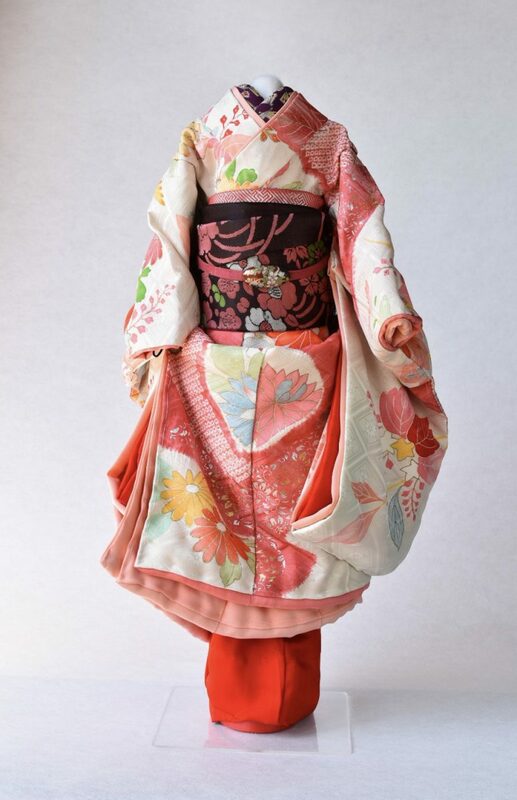 “cobebe” is artwork made from vintage kimonos and dressed in the traditional manner. 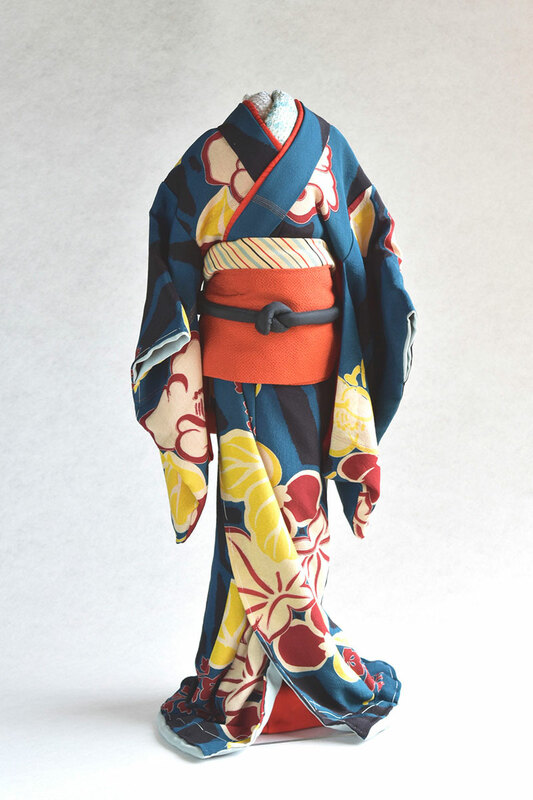 The vintage kimonos are scaled down to 1/3 size, for the models of 60cm / 23inch. 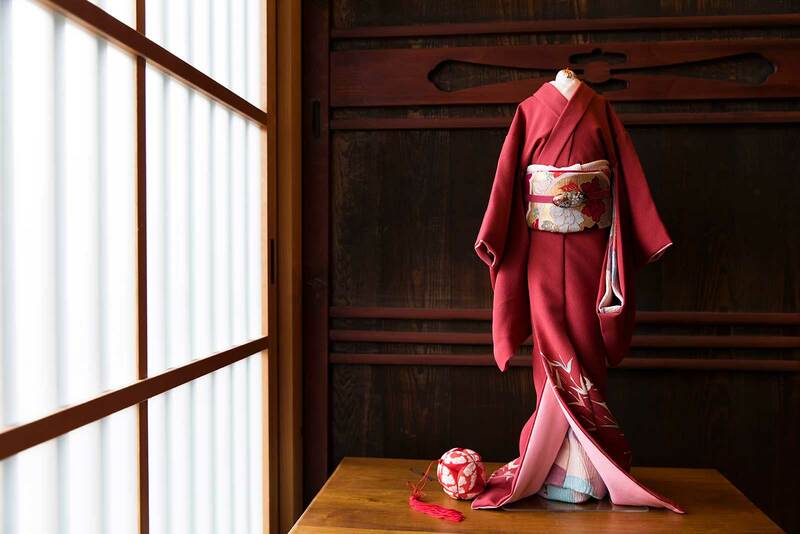 The name of “cobebe” is derived from the words ‘co’ which refers to vintage or small-sized, and ‘bebe’ which refers to kimono. 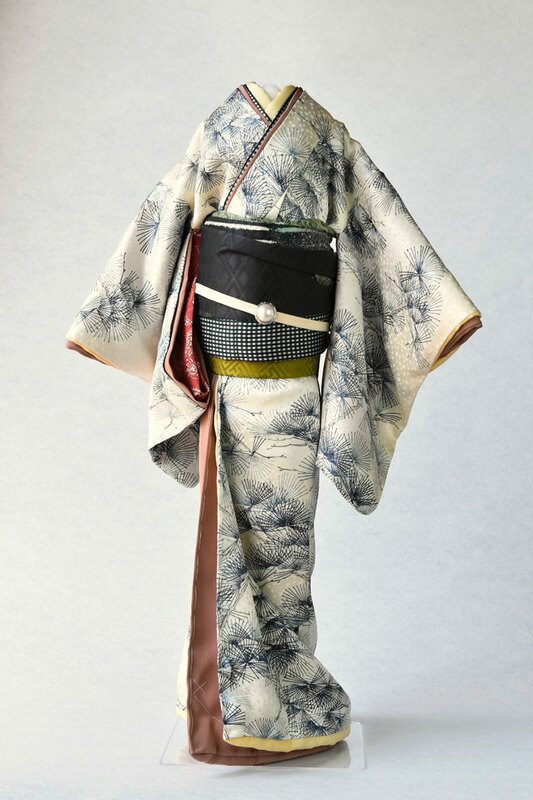 cobebe is suitable for display and act as a centerpiece at the office, hotel, Japanese cuisine restaurant, event hall, or in your home. 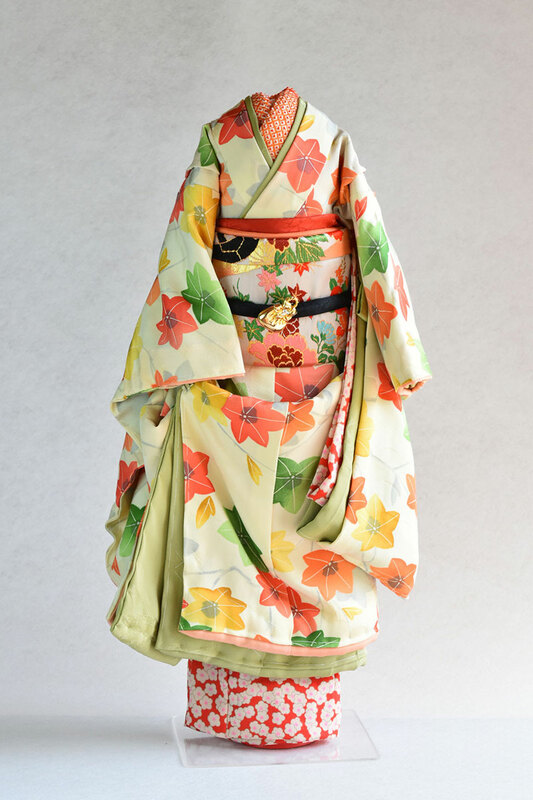 This is a collection of seasonal and more vibrant colors. 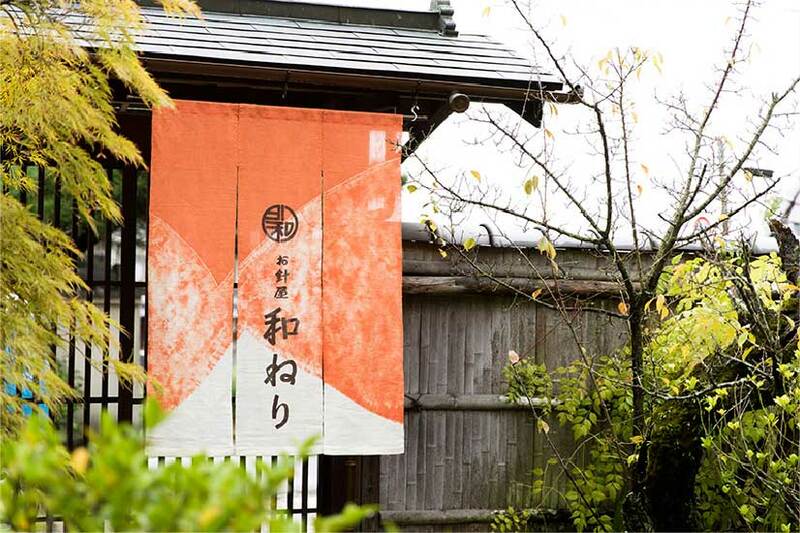 Displayed to fit the season and a mood of the space. 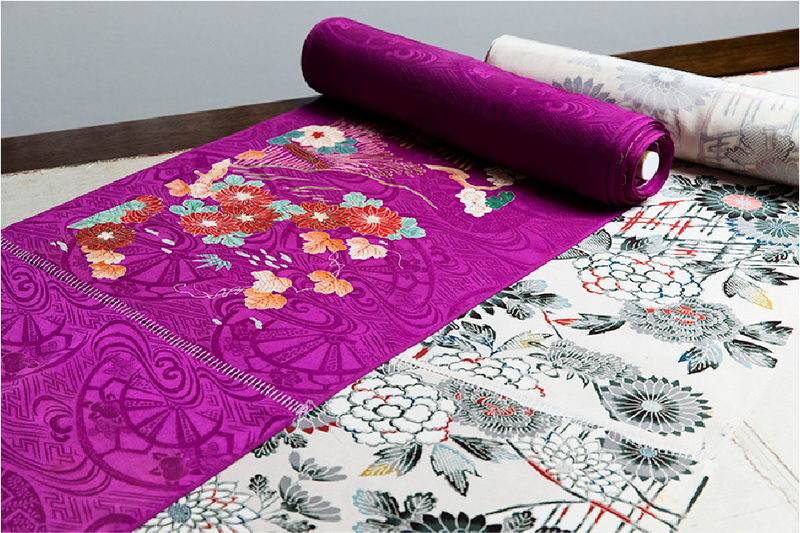 This is a collection of subtle colors and designs that when combined create a chic and sophisticated look. 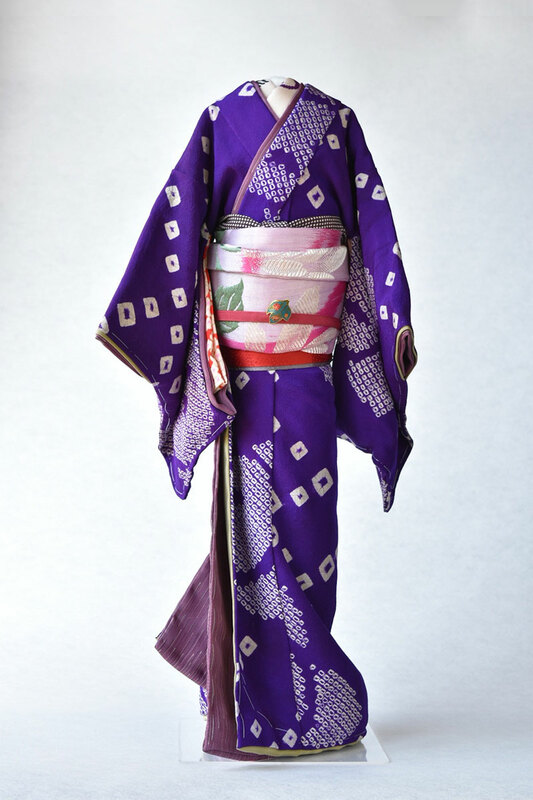 This is a Maiko style collection.Antique cute colors, ‘darari’ or loose obi, and hemmed sleeves and shoulders are catachrestic of Maiko. 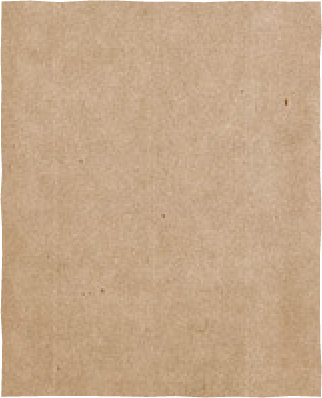 This is a collection of colors both subtle and bold. 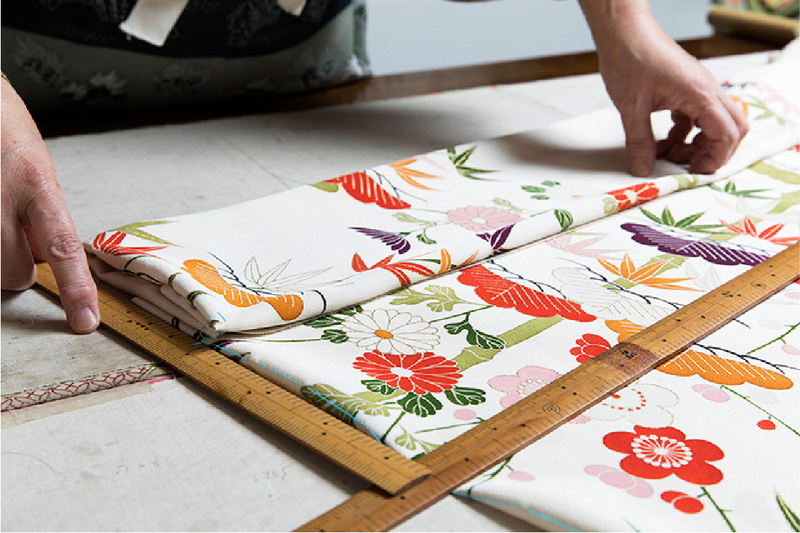 Get lost in the design and simple patterns. 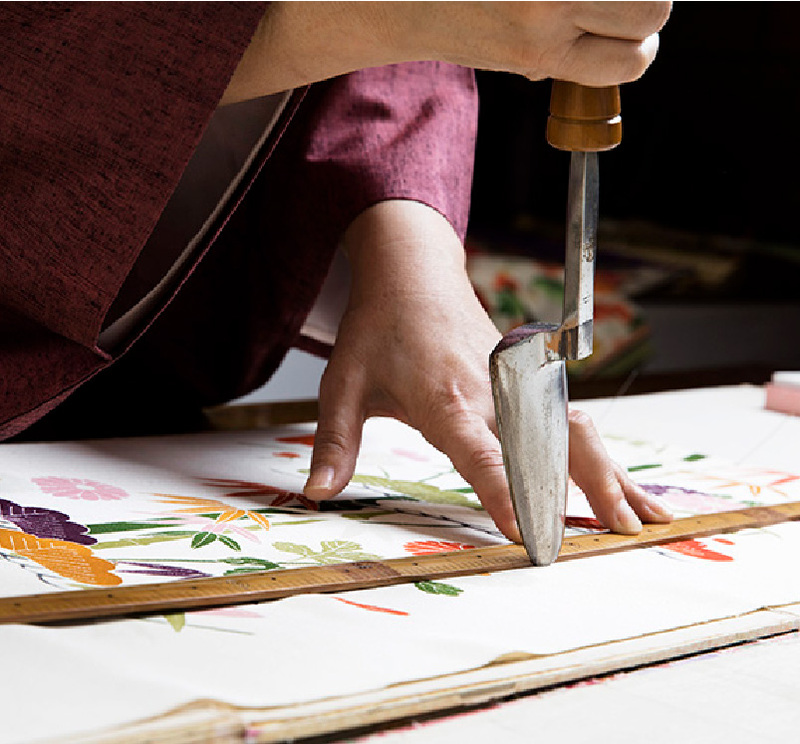 Textiles are made from vintage kimono clothes. 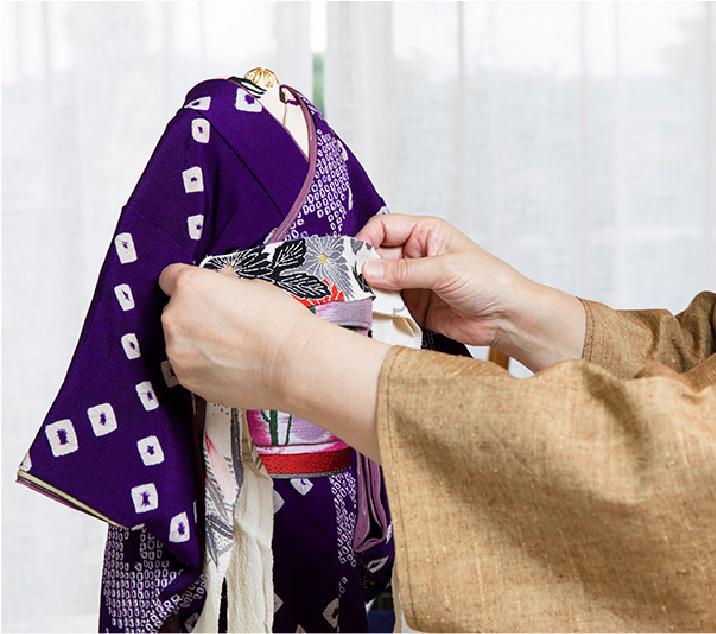 Select the lining cloth to match the color and patterns of the kimono, which is shown purposely from the edge of sleeves and the hem. 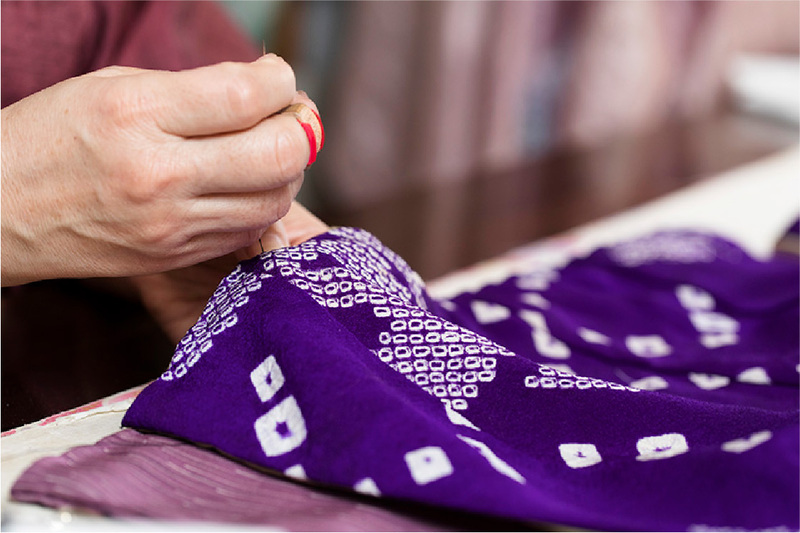 Decide the position of the patterns while considering the whole balance when scaled-down for Cobebe size. 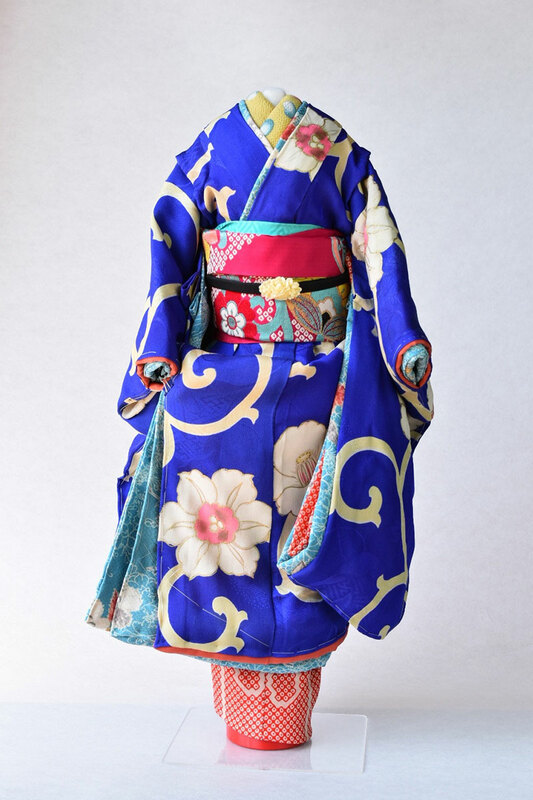 Cut the kimono into the scaled-down Cobebe size. 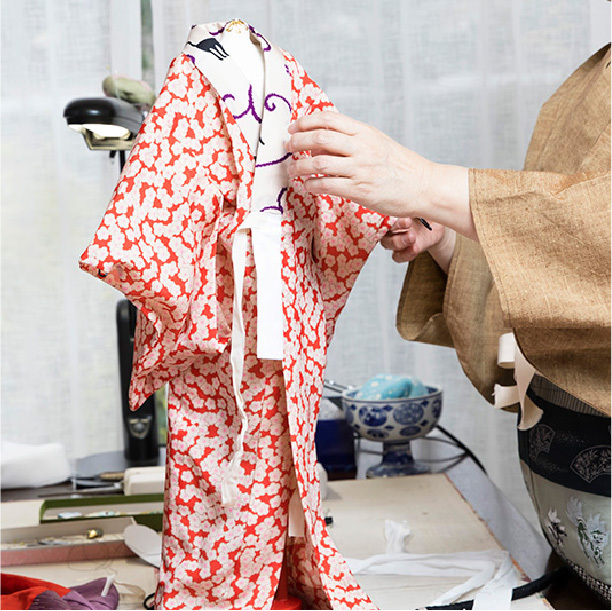 This is the moment when we feel tensed when putting a blade in an important kimono. 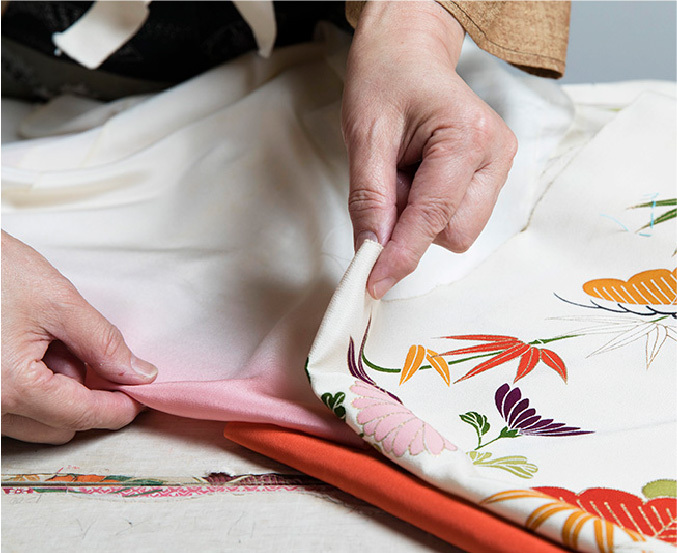 After marking marks on the kimono with a heated spat, sew it carefully by hand. 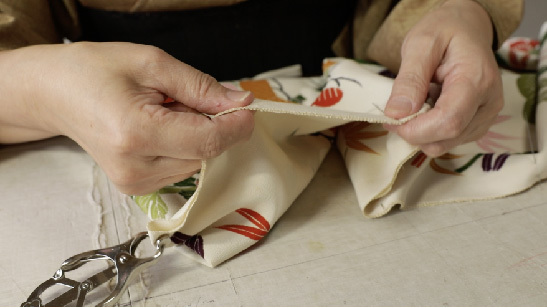 Watch the video of the hand sewing. 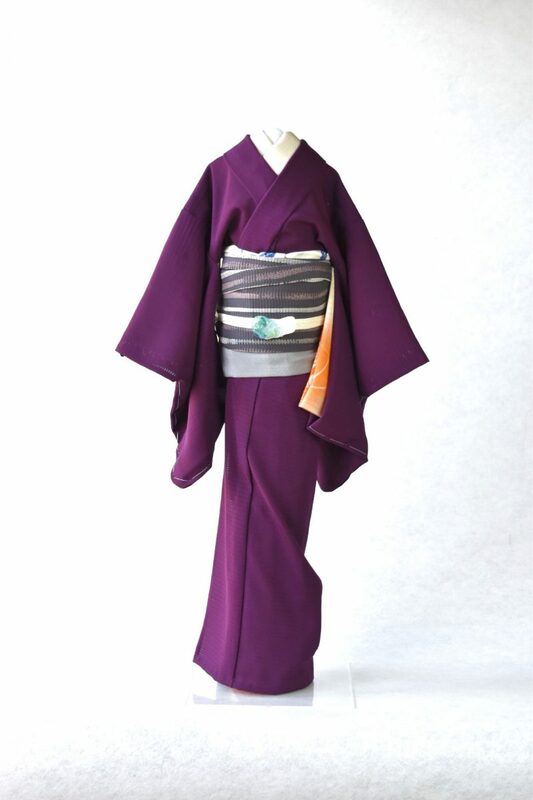 Design and make the undergarment and obi -sash to match the color and patterns of the kimono. 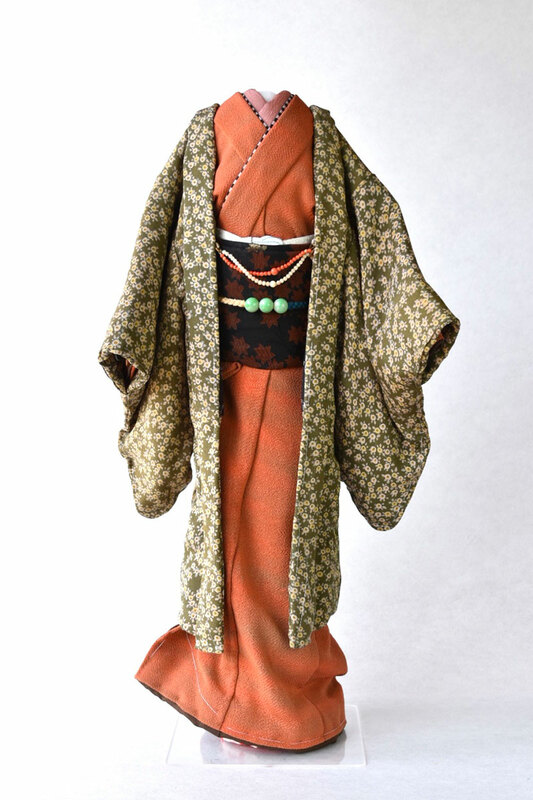 Dress the undergarment, kimono, and obi – sash on the specially made torso. 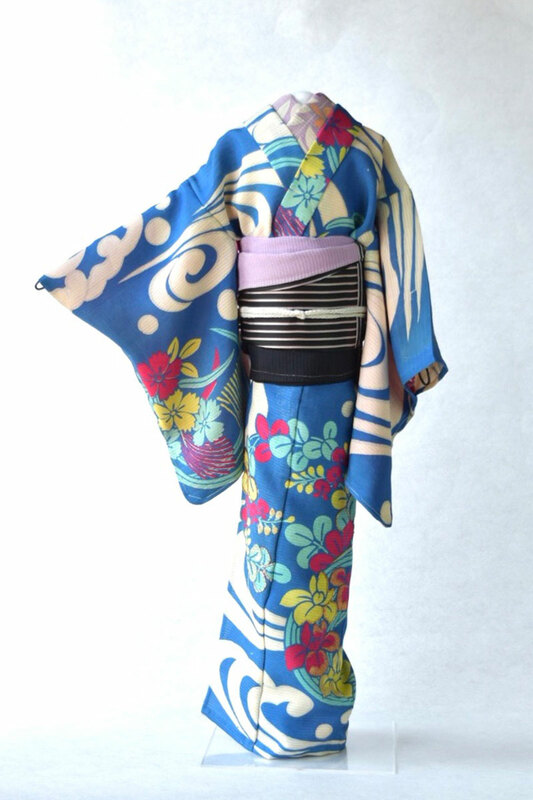 Select and add the Obijime – sash band and Obiage- obi bustle. 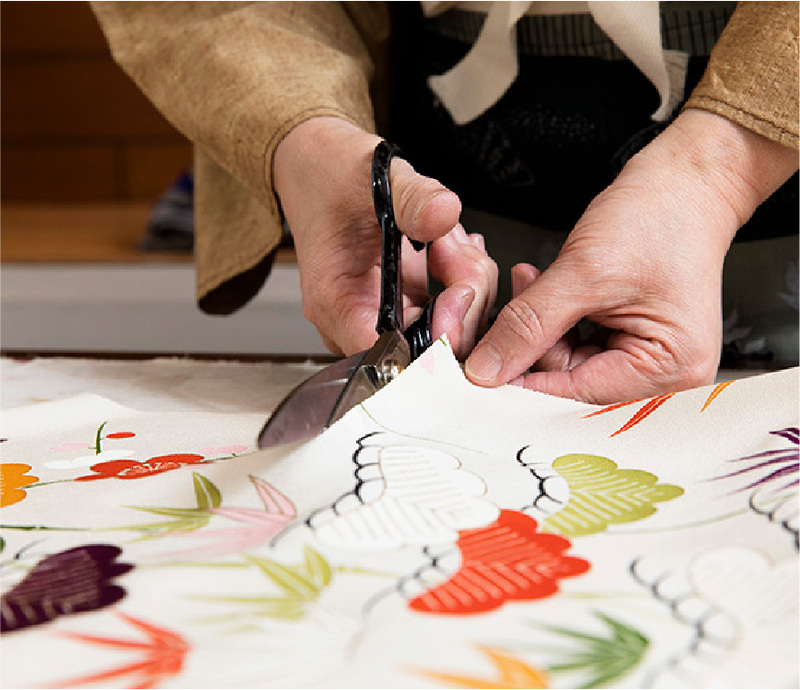 Finish by arranging the whole shape. 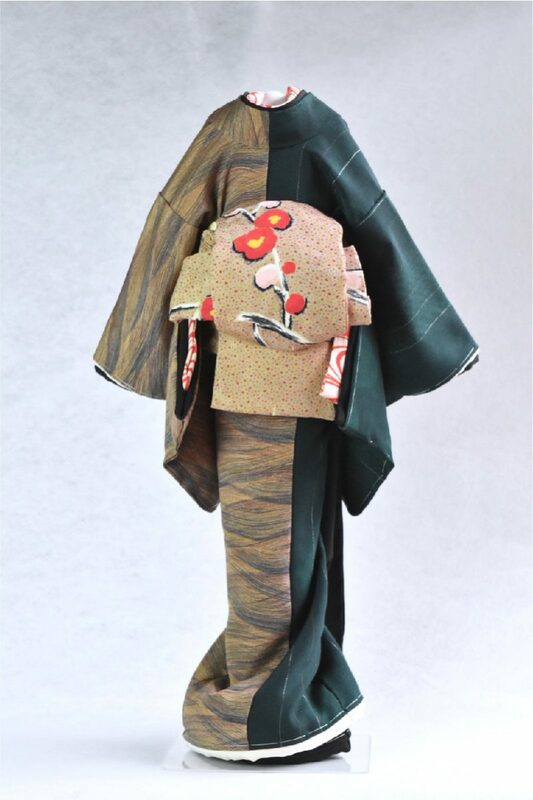 Expressions are added to Cobebe by the movement of hands and the flow of kimono. 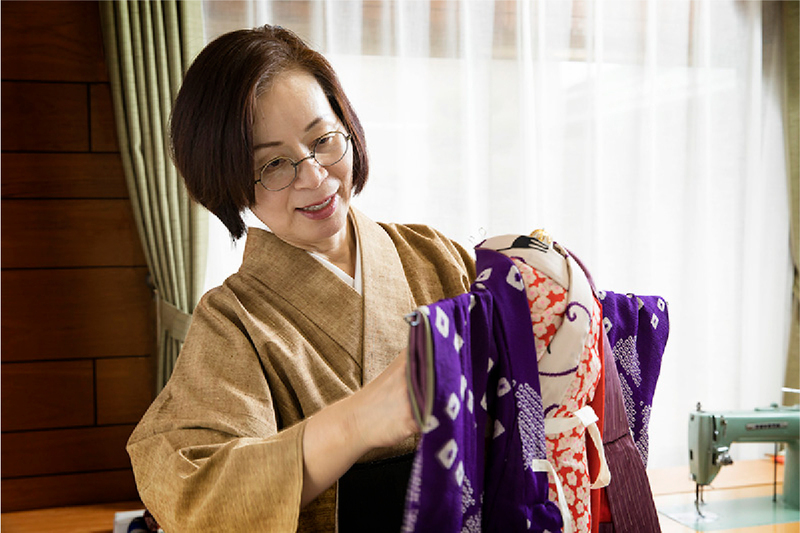 She has been involved in the kimono and dress-making industry for over 40 years, making kimono and teaching young generations how to make and dress kimono. 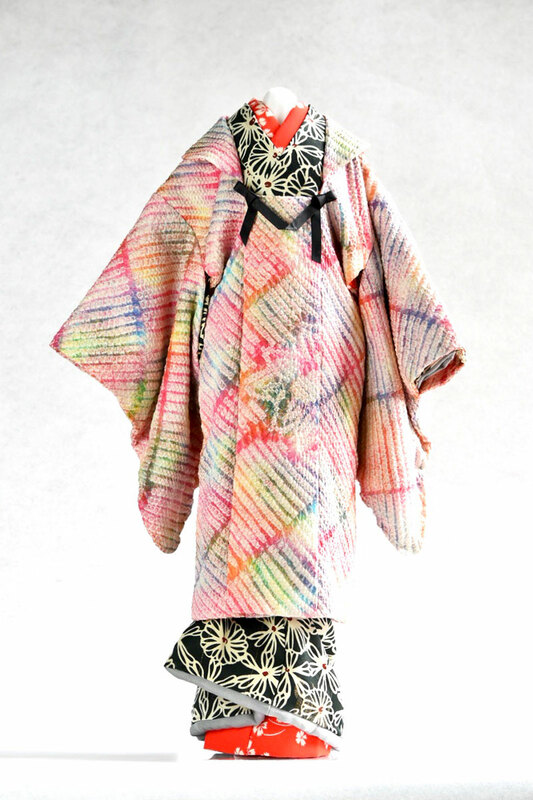 “cobebe” is compilation of kimono artisanship of experienced kimono artist – Toshie TANAKA. 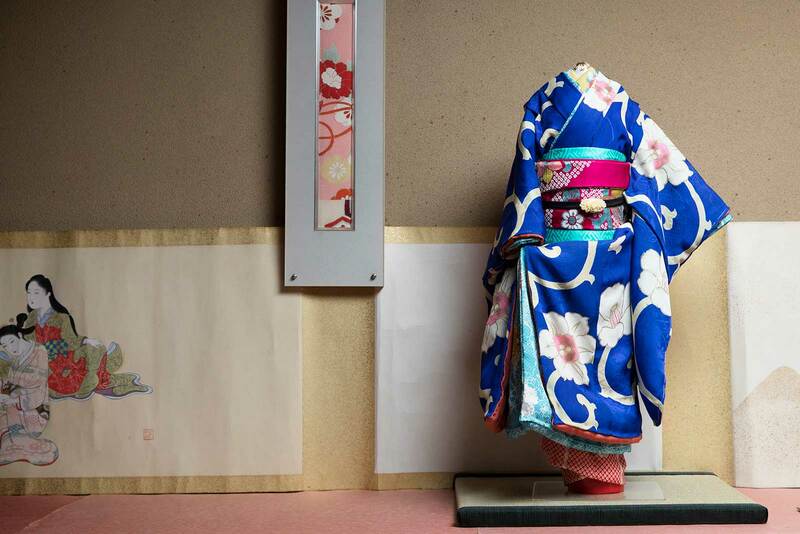 Her philosophy is to create scaled versions of kimonos to be displayed in offices and homes around the world. 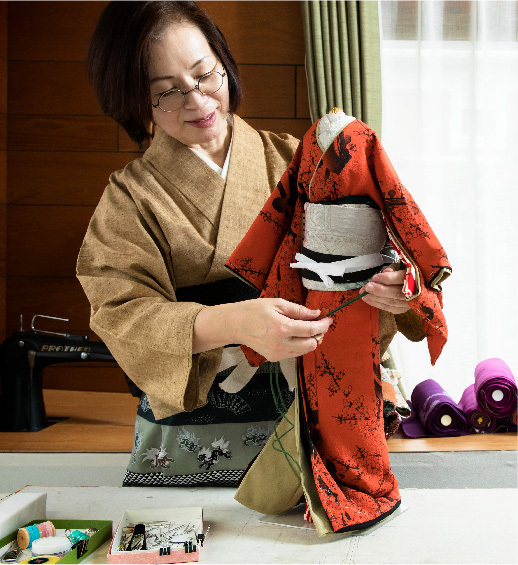 With her long history in the kimono and dress-making industry, her passion to share the beautiful style and history of kimono drives her in the creations she makes. 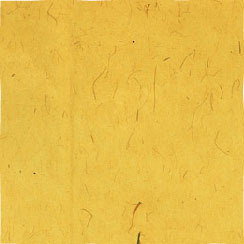 We sincerely look forward to receiving your enquiry for Cobebe. 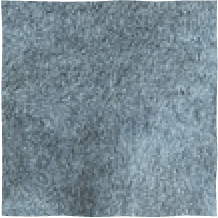 Copyright ohariya WANERI, All Rights Reserved.